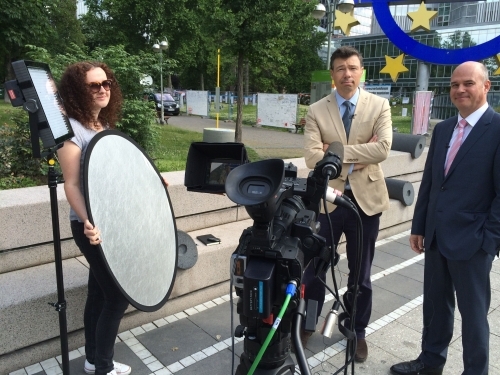 Bloomberg requested we use the portable uplink package LiveU for their recent coverage of the European Central Bank interest rates announcement. There aren’t many of those ‘portable SNGs' around but we’ve got LiveU-experienced crews and they spent all day broadcasting live pieces to camera and interviews. We broadcasted world wide all day without a hitch and can definitely recommend this system to all our colleagues.